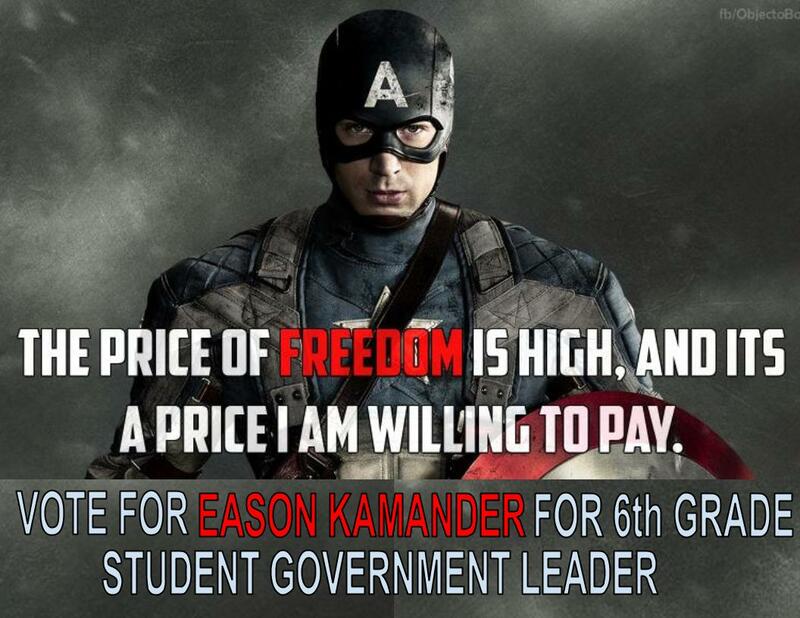 I have been interested in Student Government since fifth grade when Osborn rolled it out for the first time. 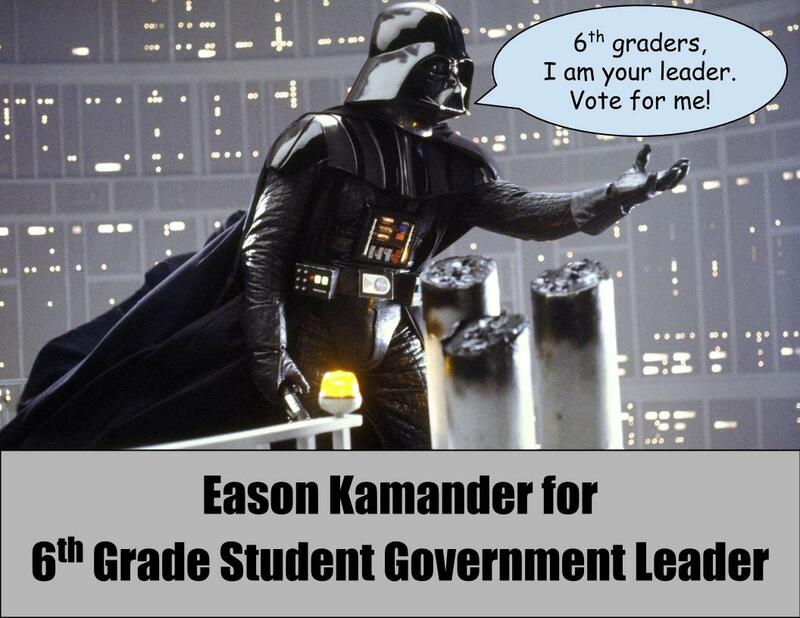 This year, when I heard that there was a middle school student government, I ran for the office of sixth grade president. 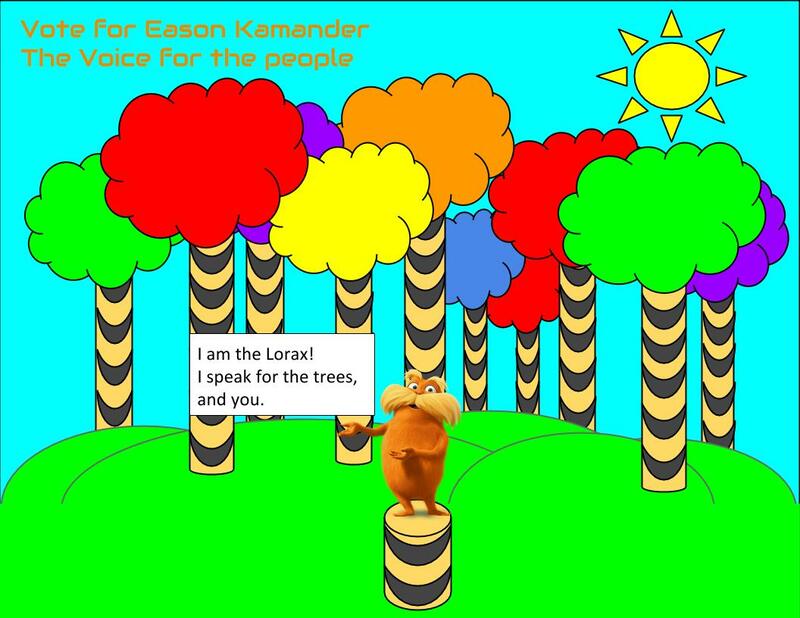 I made a three minute campaign speech and the six posters below. After a long time of giving out hellos and reasons for people to vote for me, it was finally November 4th. During social studies, we took out our laptops and opened up a Google form. In this form we selected who to vote for. Three days later, I went to the principals office and asked if she knew who had won the election. She told me I was runner up. I was a little disappointed, because I had worked by far the hardest, but still lost to a popular girl. I am now a member of student government and I will run again next year. 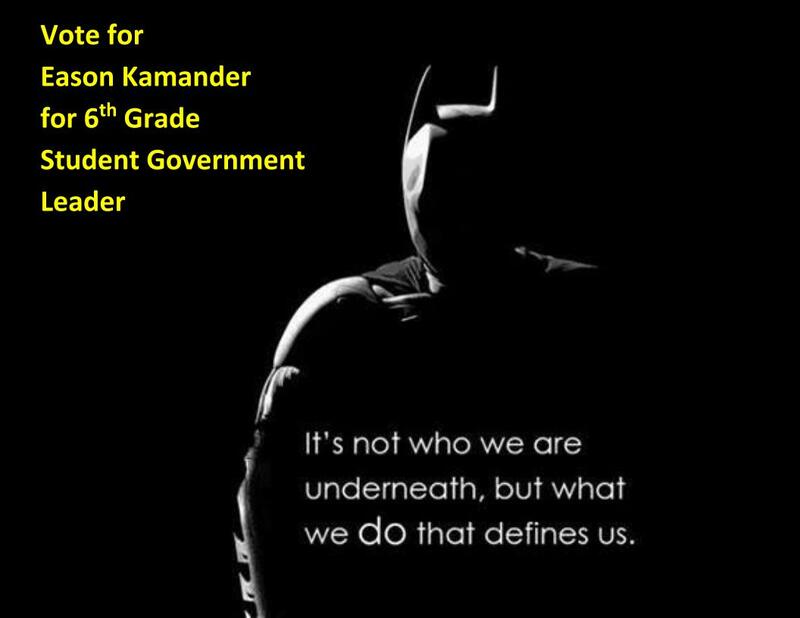 Hello, my name is Eason Kamander and I am running for 6th grade representative. 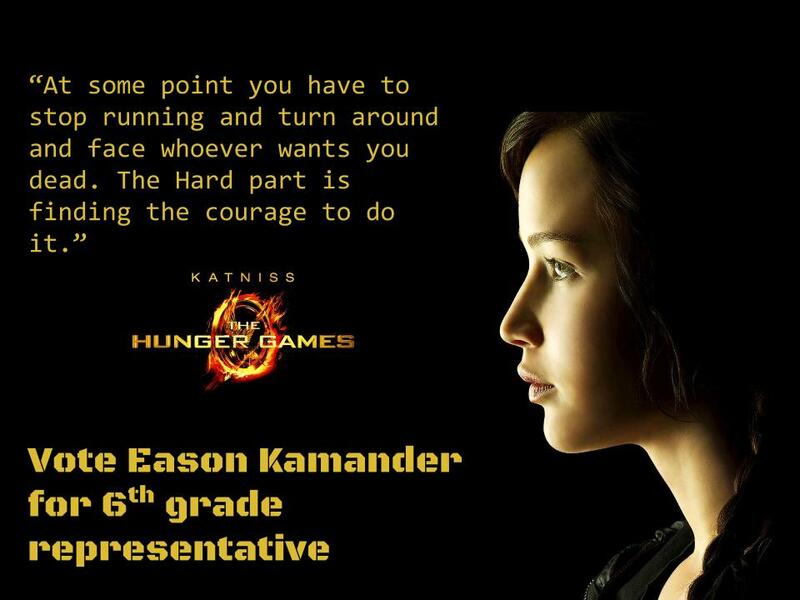 I am running because I would like to make school as awesome as possible. I think that I have the time and effort to help you, you specifically, feel better about your school, teachers, friends, and community. Enough pep talk, If elected I promise to do the following. I will try to start school later. Multiple studies show that because of our growing bodies and minds, we are basically a walking, talking construction sight. When you push construction workers to hard, they go on strike. For us this can be damaging. I know that for some people, going to school means waking up, eating a bowl of cereal, putting on school clothes and getting into the car for a 1-5 minute drive. However, as a representative I have two jobs, one when doing stuff, think about everyone, and two, get you two think about everyone. Some people have to walk anywhere from Indian Village to Oakland Beach avenue, to Sonn Drive. It is hard to wake up at 6:30 and tell yourself only 160 days to summer vacation. I would like to extend school by 15 to 30 minutes. So you can wake up at 6:55. And no, no one is going to die if school ends at 2:55 and you get out of X-period at 3:25. I will try to extend X-period. I think that is a great idea to let students do their homework, at school, with their teachers. However, because of after school clubs and sports, X-period is only 30 minutes long. As a result I see kids who do their homework in the hallways, and hear about how much homework they don’t have time for. I think that we should extend X-period to overlap with Clubs and Sports. This way, kids who have an after school activity can start soon, kids who have lots of homework can finish, and kids who have a little homework can leave early. I will try to extend the time in between periods. I think this is important because otherwise we rush. I have seen that one time when you have to practically run across the school upstairs to get to your locker, and then run down stairs and across the school again, to hardly make it. Every now and then, you get out late, are in a particular rush, and slip. Sometimes you’re fine, others, you’re late, others you’re hurt. Happens to everyone. It can be avoided by adding another 30 seconds to each in-between time, adding a total of a whole 4 minutes to the school schedule. I know that some of you will hear this and think “yeah right, like he could actually have the school change for what he wants”. You would be right, the school isn't going to change for me in a million years. However, if I come up with an idea, that you like, that benefits you and the school, and we all push for it, I think that we will improve this school, and that starts, November 4th during your social studies class. 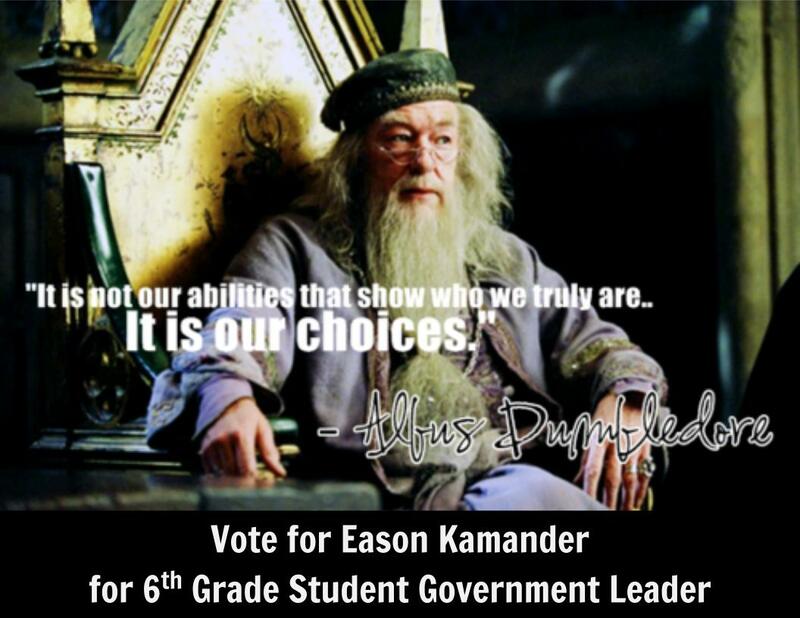 Vote Eason Kamander for 6th grade representative.